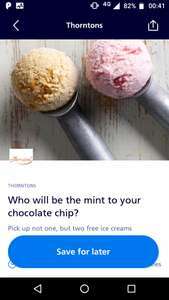 Pop into your nearest participating Thorntons store to pick up two free ice creams of your choice. Choose your favourite flavour from rich, creamy chocolate or refreshing, zingy lemon meringue – Thorntons have something for everyone. Each of you will also be able to select a waffle cone or a tub and you can also add your choice of drizzle topping. Offer Start and End Dates: Offer is valid from 16/07/18 - 22/07/18, while stocks last. Availability: There are 11,000 available...more codes available everyday. Usually codes are generic and everyone can use it if you show them the generic code (screen recording has been accepted in the past). Is it 11,000 per day or in total? Last time they had this offer on and I went to collect I was told the shop had none and that the ice cream was coming in the following day. O2 issue codes to "purchase" the product on a first come, first served basis. When the daily limit has been reached (by people activating "Use it now" in the App) it shows that the offer is "sold out". Staff need to see the live code counting down to ensure it's still available. That's why there were lots of Choc. calendars in the shop, but you couldn't get it for free. I used to work at Thorntons (also an O2 customer) and sometimes I missed out because the daily limits had been reached for offers. Hopefully I'll get ice-cream tomorrow, with my free Caffe Nero latte Thanks for highlighting the offer, OP! If you're forever alone, will they put 2 scoops in one cone? 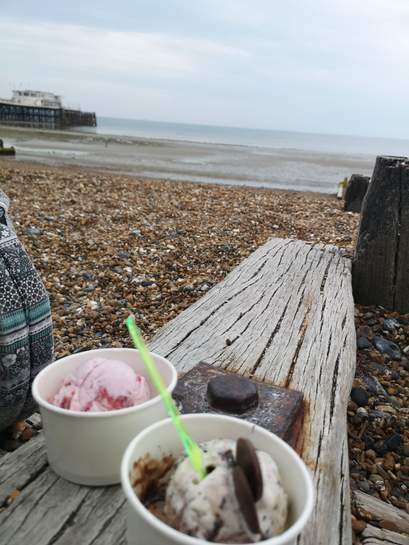 Ah bless, you can have 2 cones and get 2 chocolate smiley faces too. After struggling to deal with getting two ice cream cones, the really nice store assistant said next time it'll be 4 Ice Creams! Anyone know if these codes are generic? Yes, everyday the offer is made available again in the app. 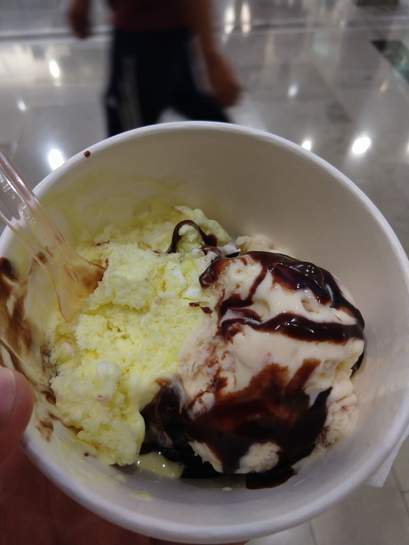 After struggling to deal with getting two ice cream cones, the really nice …After struggling to deal with getting two ice cream cones, the really nice store assistant said next time it'll be 4 Ice Creams!